In this new, 5th edition of a highly popular text, undergraduate students are introduced to all the basic experimental techniques routinely used in practical biochemistry today. Most attention is given to techniques students will encounter in their practical classes, with the principles and theories behind them explained in detail to aid understanding. As a further aid to students, essential calculations and worked answers appear at the end of each chapter. 'Key terms to understand' are also included to help students thoroughly review each topic. No contemporary book on modern biochemical techniques would be complete without chapters on molecular biology, recombinant DNA technology, genetic analysis and biomolecular interactions, and these topics have been extensively covered in this new edition. 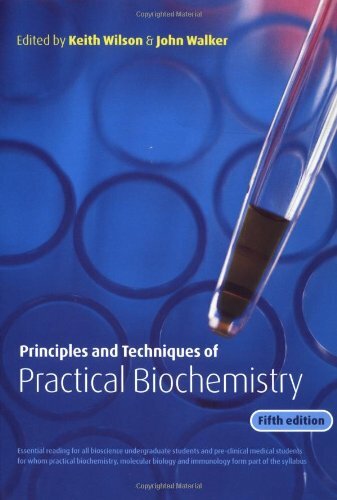 The book is essential reading for all bioscience undergraduate students and pre-clinical medical students for whom practical biochemistry, molecular biology and immunology form part of the syllabus. This new edition of a highly popular text introduces experimental techniques which are routinely used in practical biochemistry and molecular biology today. Its coverage is comprehensive, but with most attention given to those techniques which undergraduates encounter in their practical classes, making it an essential read for all bioscience students.